Sprinkle shredded cheese on one tortilla. 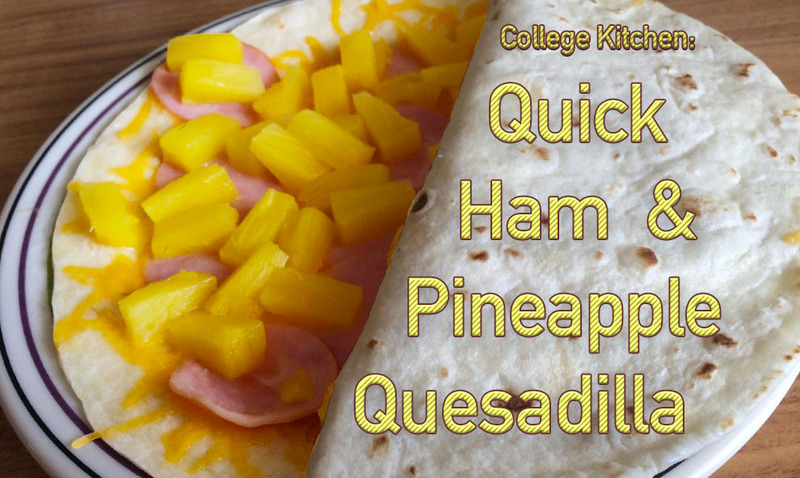 Place slices of Canadian bacon and chunks of pineapple (along with any desired toppings) on top of the cheese. Add second tortilla on top of the first. Microwave for one minute. Could also be cooked on a stove top or hot plate till tortiallas are lightly browned and cheese is melted.